Not so often can you come across an event in IT that really makes a difference, the one you remember, the experience that is both fun and useful, the event with a special atmosphere and excitement in the air. 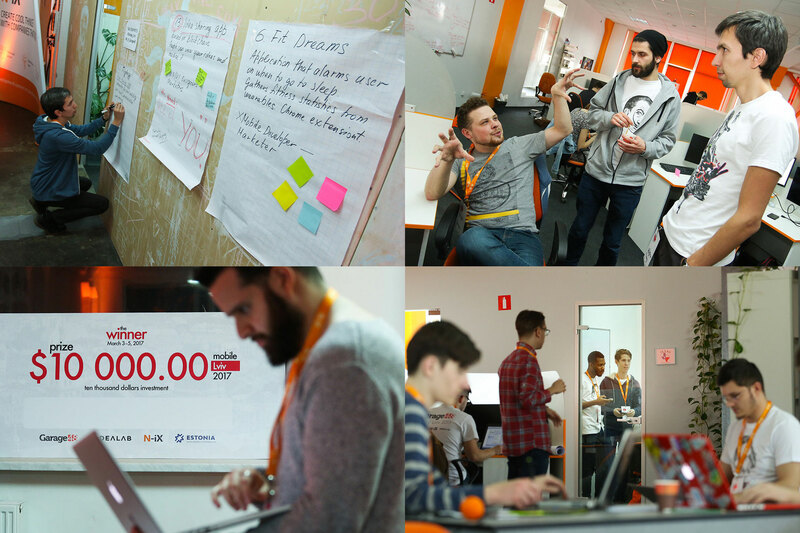 Without exaggeration, Garage48 Mobile Hackathon in Lviv was just like that. 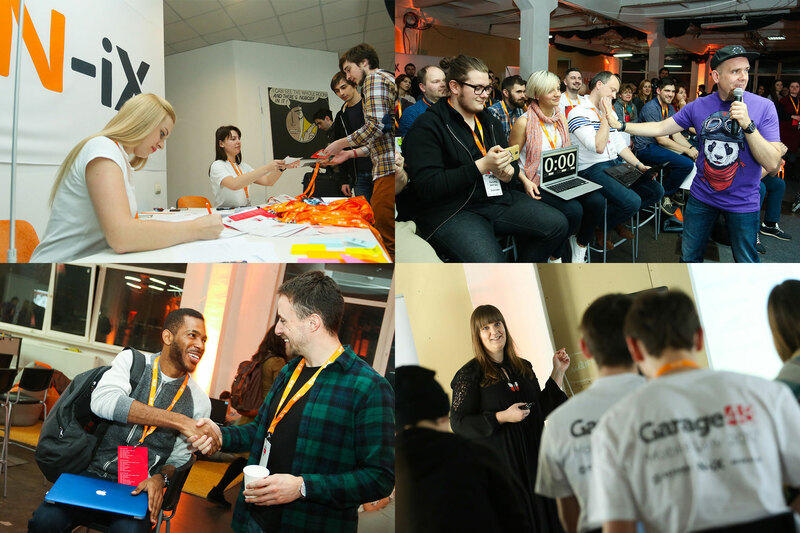 Originated in Estonia and the Silicon Valley, Garage48 events gather like-minded people across the world to innovate, experiment, and turn their ideas into working startup prototypes in just 48 hours. 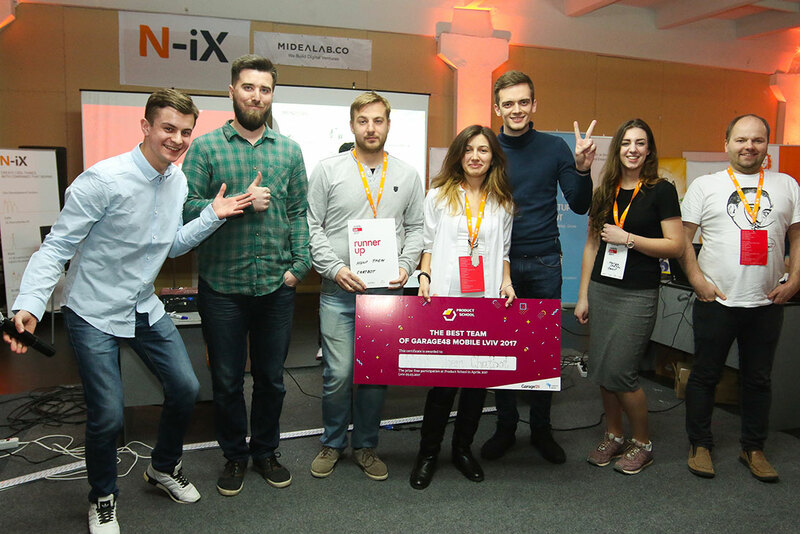 Traditionally, N-iX hosted the third Garage48 hackathon in Lviv, organized in cooperation with Estonian Development Cooperation and Midealab. Over 150 engineers, designers, product managers, marketers, and just initiative people attended the event which was dedicated to mobile development this year. N-iX opened its doors to participants from Ukraine, Belarus, Estonia, Lithuania, Finland, Sweden, Czech Republic, and Canada for one fun and productive weekend. As pointed out by the participants, Garage48 hackathons are really the most result-oriented events in their kind. The organizers invite the best mentors, serial startupers, and entrepreneurs with years of experience to criticize, advise, guide, and encourage the competing teams. Many ideas developed during Garage48 become successful products and raise further funding. For example, MSQRD was one of the most successful projects of the hackathon. The startup was acquired by Facebook for around $130M just 4 months after Garage48 Minsk 2015. 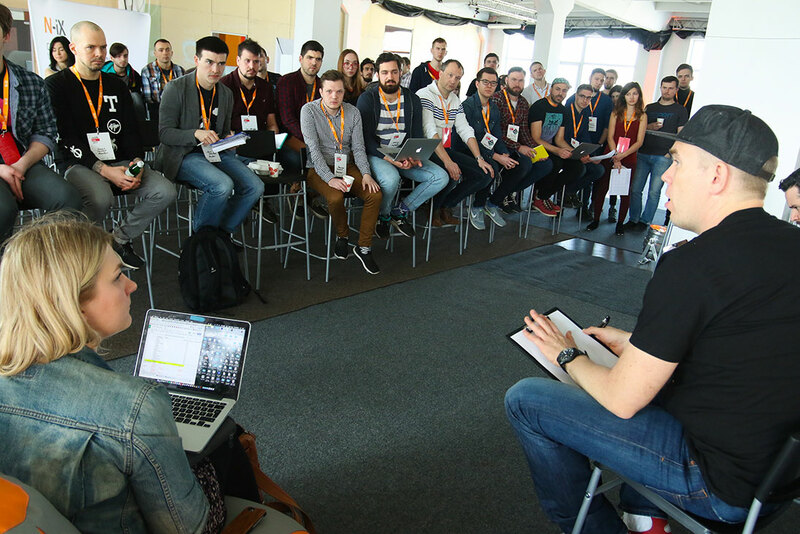 This year’s hackathon in Lviv attracted a lot of people so the organizers had to increase the number of spots from 100 to 150 to satisfy the demand. On the first day of the event, the participants pitched 24 ideas, 18 of which were selected by the jury for further development. The jury consisted of 8 people: Ragnar Sass (Garage48), Andrew Pavliv (N-iX), Niko Porkka (Midealab), Henry Nilert (Midealab), Erik Simons (Angel Investor), Chris Raastad (Transferwise), Andres Susi (Tech entrepreneur), Diana Polivko (Startup Depot). 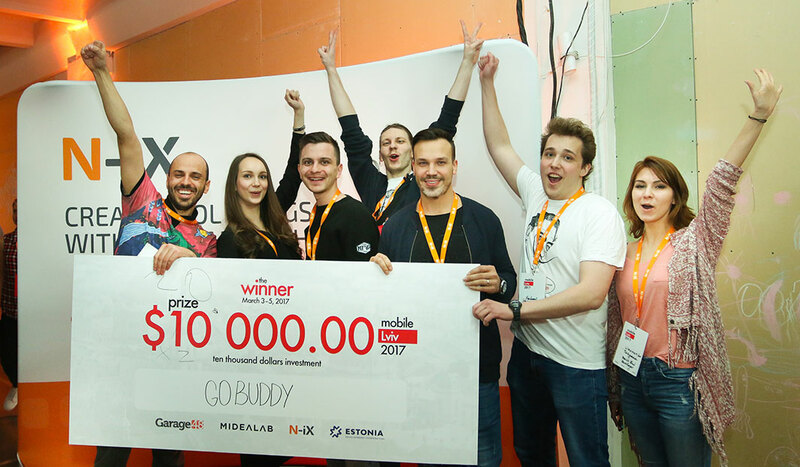 On the last day of the hackathon after careful consideration, the jury announced the winner – a travel insurance mobile application GoBuddy. Not only did the team get the main prize of $10,000 investment from the organizers, but N-iX CEO Andrew Pavliv made an additional contribution of $10,000 thus raising seed investment to $20,000 and expressing his confidence in the project. Andrew Pavliv emphasized that “GoBuddy team showed a great result, their idea has everything necessary for success on the global market. This product combines Fintech and Insurtech in a chatbot messenger targeted at millennials – the customer group who often aren’t aware they need such product”. GoBuddy application offers a simple solution for travellers who want to get insurance without too much paperwork and wasted time. It helps busy travel addicts to set up an insurance in several minutes by communicating with a chatbot. The working prototype was a result of team effort of Oleh Stasula (Visionary), Nazar Soroka (UI/UX Designer), Igor Rokytzkyy (Back-End), Yevhenii Vasiuk (Back-End), Viktor Rudyk (Mobile), Tatyana Litvinenko (Back-End), Emilia Oksanen (Marketing), Juho Oranen (Marketing). Oleg Stasula, the main visionary of the project, is a 25 year-old iOS developer from Lviv who has worked as a lead developer at Pipedrive for 2 years. Now he plans to dedicate himself fully to GoBuddy startup while working with his team and cooperating with the investors. 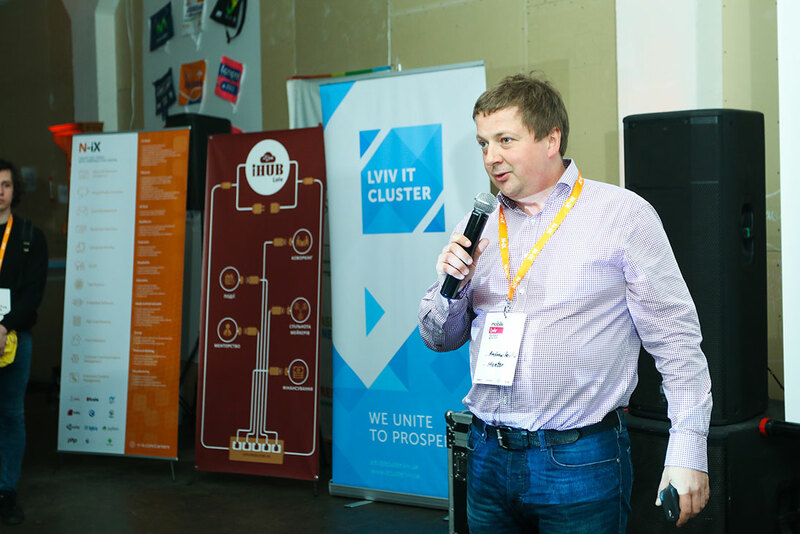 Oleg Stasula notes: “I have participated in over 10 hackathons and it’s my 5th Garage event. This event is the coolest because it has allowed me to achieve the most. This is the first place where I’ve pitched an idea and I’m very happy it has happened in Lviv. Hunt Them Chatbot – the second runner up, a chatbot application that helps recruiters to automate their work by doing routine activities like FAQs and follow-ups for them. Graime – the project brought to Lviv by the participants from Minsk; the guide to street concerts for amateur musicians, popular singers, and music fans. The project’s visionary Julia Lakatkova said: “Comparing Lviv hackathon to other similar events we’ve attended, it’s definitely the most dynamic and the most productive. Everything is organized really well, everyone is focused on the product and not the formalities. Also, the level of mentors is really high”. Pidvezy – a smart mobility project that aims to help people living in the cities commute to work easily even during the rush hour. Additionally, it aims to solve the traffic and congestion problems in a city. See you all at the next Garage48 in Lviv! N-iX was really happy to co-organize and host Garage48 for the third year in a row. We try to make our contribution into the development of the IT sphere in Ukraine in many ways. Such events improve the professional level of our IT professionals, provide great opportunity for networking and ideas sharing, attract investments to Ukraine and more. 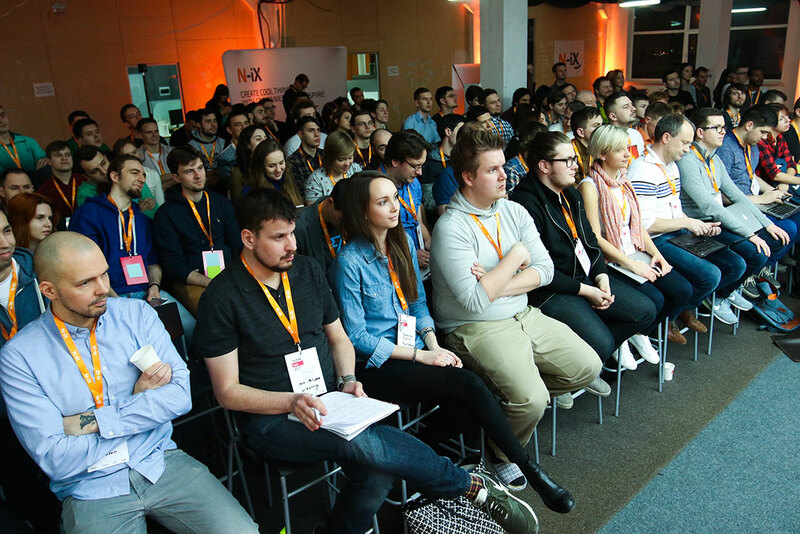 N-iX CEO and Co-Founder Andrew Pavliv notes: “Organizing hackathons like Garage48 has positive influence on the IT industry and on the development of the startups ecosystem. It’s the third time that N-iX has organized this event, and each year the quality and the number of startups at the hackathon grow. It means that we are moving in the right direction and demonstrates active development of the startup community”. 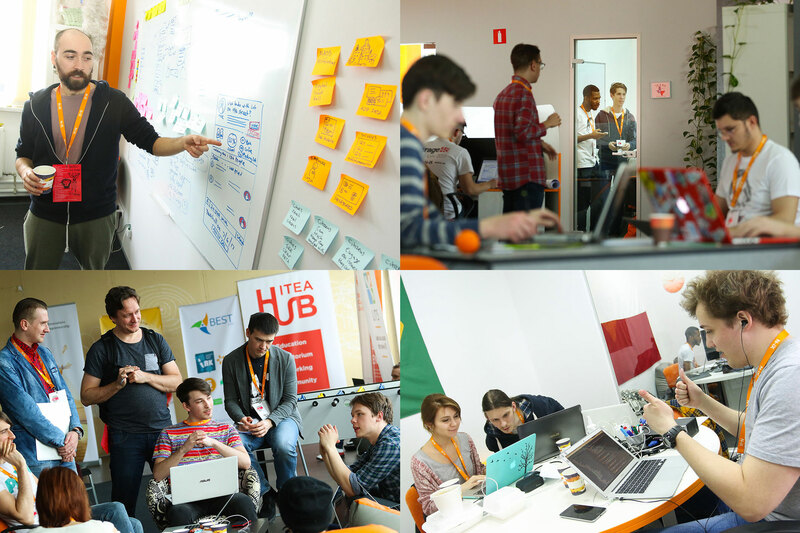 International mentors and participants also stress on the high quality of the Lviv hackathon. Maarika Truu, the Member of the Board and Garage48 organizer has seen all the sides of the Garage events – as an organizer, a mentor, a participant. She points out that every event is very different. What was special about this particular event is that it had very broad focus because mobile is actually very broad but at the same time it gives you clear focus, so everyone was doing something in mobile. In Maarika Truu’s words, Ukraine as one of the countries where they organize events stands out because it already has a well-developed IT structure. There are a lot of successful outsourcing companies, great technical universities, many startups come out from Ukraine. Maarika adds: “What is maybe missing is that you need this marketing effort, you don’t know how to sell your ideas. If you add this business component, marketing, sales and know-how about how to scale your business worldwide, you may expect many great things coming up. To sum up, we would like to thank everyone to joined us for this great event. See you all at the next Garage48 hackathon in Lviv!